Urban Forms Center is a non-governmental organization that specializes in the field of sustainable urban development, community development, research of the architectural and cultural heritage of Ukraine and the world. Under the Charter of Organization, the mission of the Organization is to develop and implement programs, projects and activities aimed at sustainable development of communities, architecture, design, and urban environment together with addressing social, economic and environmental problems. Our organization is open to participation in joint research projects or social and cultural events and looks forward to active cooperation with foreign and Ukrainian partners. 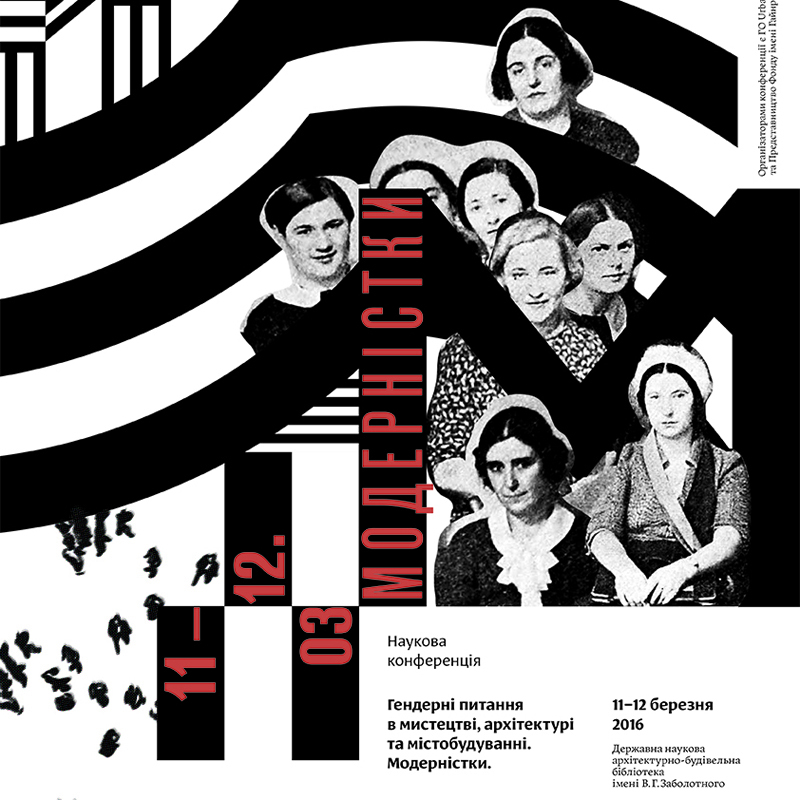 International Research-to-Practice Conference "Zaporizhia modernism and Bauhaus school: universality of phenomena. 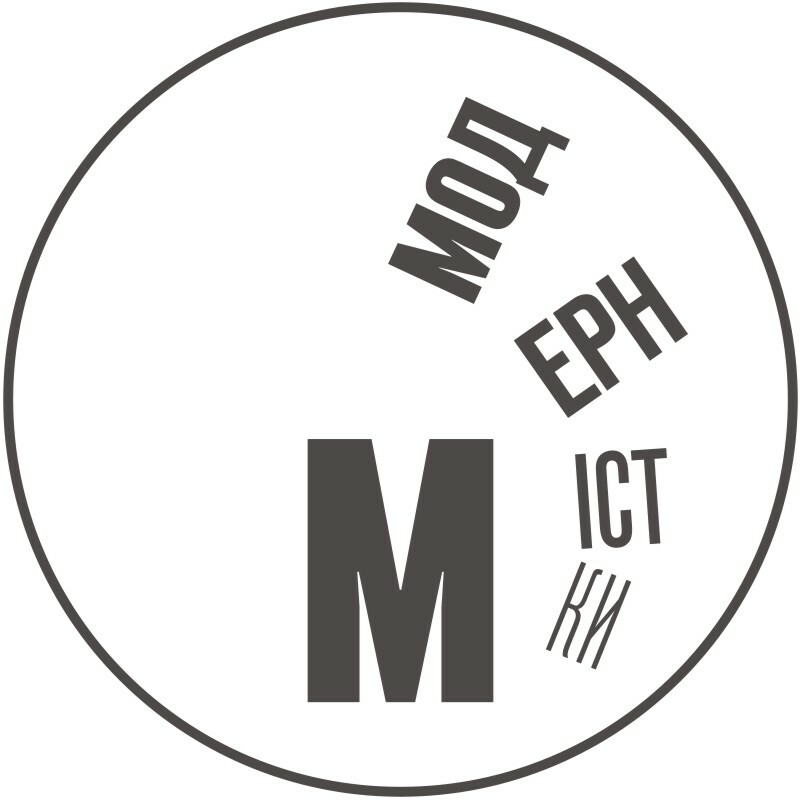 Problems of preserving modernist heritage"
We would like to invite you to apply for participation in the ‘Zaporizhia modernism and Bauhaus school: universality of phenomena. 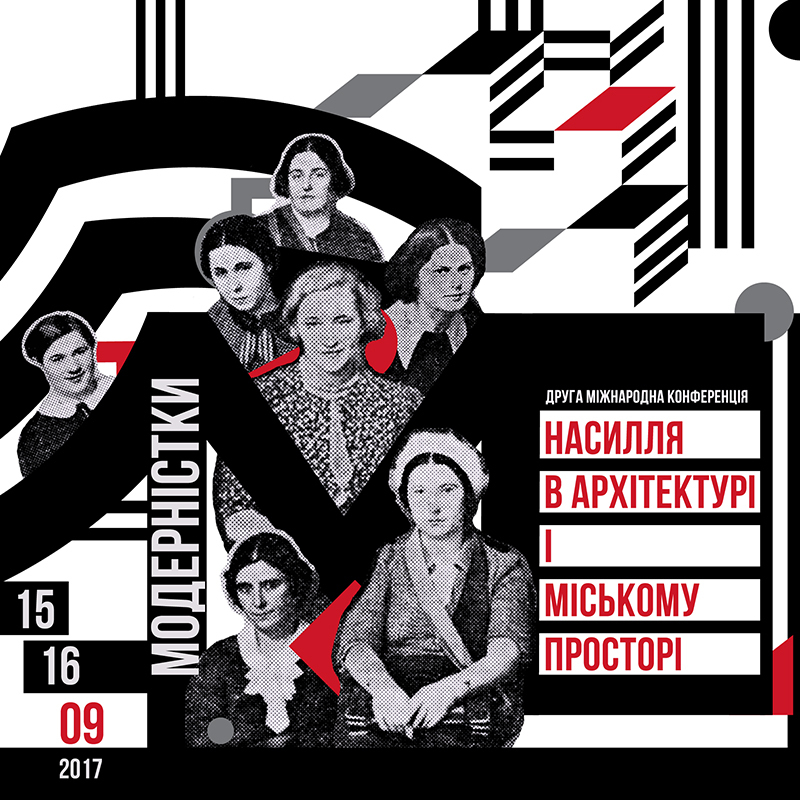 Problems of preserving modernist heritage’ – the international research-to-practice conference, which will be held on 19–20 November, 2017, as a part of ‘German Weeks in Zaporizhia’ series of events. The conference goal is to draw attention of the public, Ukrainian and international experts and authorities to the problem of preserving objects of the interwar modernism in Ukraine, to prove the universality of the phenomenon of the German and Ukrainian modernism of the 1920s-1930s (with the Sixth Settlement in Zaporizhia being the case in point) and to promote the exchange of experience in the preservation and legal protection of the legacy of this period with German partners from Berlin, Germany’s federal state of Saxony-Anhalt (Dessau), and experts from other EU countries. The following participants are invited to take part in the research-to-practice conference: experts in the field of architecture, history and theory of architecture, restoration, technology of restoration, history of art, legal disciplines, economics and taxation, cultural studies, history, regional history; social activists and heritage defenders; representatives of state and local authorities working in spheres of architecture, urban studies, urban planning and heritage protection. Participation in the conference is free of charge, with meals foreseen for all the participants. For those participants selected on the basis of documents submitted to be the speakers, organizers provide accommodation and return money for travelling if the expenses above are not covered by the organizations who the participants represent. Should there be a need in compensating accommodation and travel expenses by conference organizers, please inform us about it when submitting documents. To join one of the panels, please send your abstract of research (the abstract shall not exceed 500 words) and a short CV. The above materials should be sent to the email connect.ufc@gmail.com until 15 October, 2017. Call for papers is available at the following links in English, German and Russian. 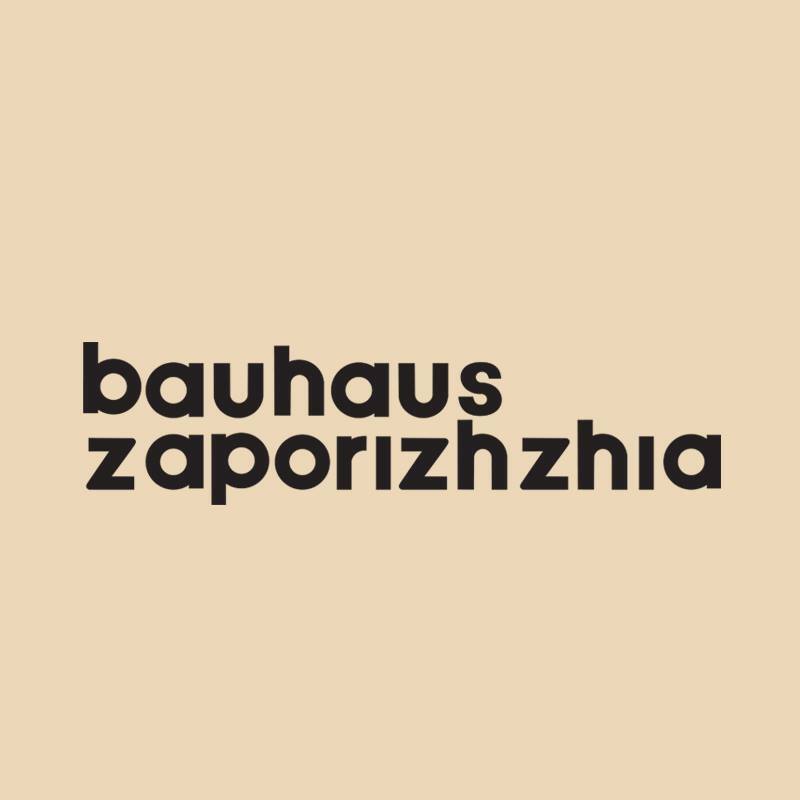 Find more information about “Bauhaus - Zaporizhzhia. Modernism in Germany and Ukraine” project on Facebook page. Organizers: Consulate General of the Federal Republic of Germany in Donetsk (office in Dnipro) in partnership with the NGO Urban Forms Center, Barannik contemporary art gallery and Professor Thomas Flierl (Germany). 2nd International Conference "Modernistki. Violence in Architecture and Urban Space"
In the first half of the 20th century, women got a possibility to obtain architectural education in many countries. At the same time, the architectural profession has always been related with power, political and socioeconomic processes in the society. The architecture as a form of power resulted, quite often, in a special kind of violence because the decisions taken by architects would primarily comply with customers’ requirements – was it the state or a business entity – and hardly ever would they go in line with the requests of the society. Thus, women who were a discriminated social group, joined the profession that was allowing the discrimination of other people and themselves. The female architects were both the object and the subject of violence in the architectural context. The objects of study at the second international scientific conference are the female architects, their way to power within the architectural profession, the influence of the historical context on their career, and the results of their professional activity. Besides, the object of study is the city and basic categories of the feminist theory applied to it: violence, power, discrimination, etc. The organizers and participants of the conference are eager to identify the phenomenon of violence in architecture and to highlight the role of women in the processes related with violence. The research of violence manifestations in architecture and urban space, as well as preventing them are especially topical now because different social groups are being discriminated in the Ukrainian cities. The reasons underlying certain scandals in architecture and development remain hardly attended. That hardens the stereotypes that the society has about the power and the architects’ role, and results in traumas and gradual stigmatization of people’s aspiration to influence on the decision making process in the city. The organizers want to extensively discuss the problems of inequality, security, and violence in the urban space. The organizers of the conference think that the co-existence of feminism and architecture covered a major part of the last century, lasts now, and is far from its end. The transformation of ethical regulations and responsibilities initiated by sociocultural changes in the societies, as well as changing political and socioeconomic conditions affected the woman’s role in the architectural profession. Apart from researching the creative career of female architects, we will bring up a point about how their professional activity affected their work results, projects, architectural and urban objects. Did the female architects from Ukraine and the whole world reflect the social changes and achievements of feminist and human rights movements in their professional activities? The task of the first panel is to consider the woman’s role in the fight for power, and as a representative of the architectural professional hierarchy in the context of different waves of feminism. At the second panel of the conference we will consider the theoretical basis of such categories as power, acquisition, ownership, resources, violence, trauma, discrimination, privileges in the context of cities. The urban spaces produced by the patriarchic system result in hierarchical structures and, as a result, encourage discrimination and violence. The task of the second panel is to analyze the problems of architecture, urban space and municipal politics by applying the theoretical feminist categories. At the third panel the attendees will explore practical examples to discuss practical and methodological matters of the architectural activities related to the phenomenon of violence in the cities. The participants will talk about the ways of identifying, monitoring, and reacting against the violence, discrimination, and violations of human rights in the cities. Daily interactions of women and other discriminated groups with the urban space continue causing many problems related with comfort, security and sensitive feeling, even in the developed countries. The purpose of the third panel is to explore the existing cases demonstrating, in Ukraine and all over the world, the negative aspects of the urban space related to the violence. We will also share the positive experience in resolving such problems and reacting against the violence by means of architecture and urban planning. At the workshop we will present the ideas and experiences in resolving the spatial discrimination and violence issues in the urban space using Austria’s examples. The workshop tutors will attempt to analyze, together with the participants, specific cases and find out how gender issues and inclusion are implemented in the architectural and urban planning processes, and how they affect the design methods using cross-disciplinary approaches. The purpose of the workshop is to explore the international experience in applying the inclusion- and gender-sensitive approach to the formation of the urban spaces and architecture. The results of the workshop will be presented to the conference attendees in the end of the second day. The conference is free of charge and open for everyone interested, particularly for: hands-on architects, design professionals and artists; scholars, educators, researchers, and students in the fields of architecture, art, anthropology, sociology, architecture, and culture; thought leaders; policy makers and representatives of municipalities working with architecture, urbanism, and urban planning; activists, representatives of women’s associations and non-governmental organizations; members of the public. Organizers: NGO Urban Forms Center with the support of the Heinrich Boell Foundation’s Office in Ukraine, Center for Urban History of East Central Europe, and Zabolotny State Scientific Library of Architecture and Construction. Information partners – Hromadske Radio, Architectuul and VCRC. Information about the 1st International Conference “Modernistki. Gender Issues in Art, Architecture and Urban Planning” (2016). Urban studios. 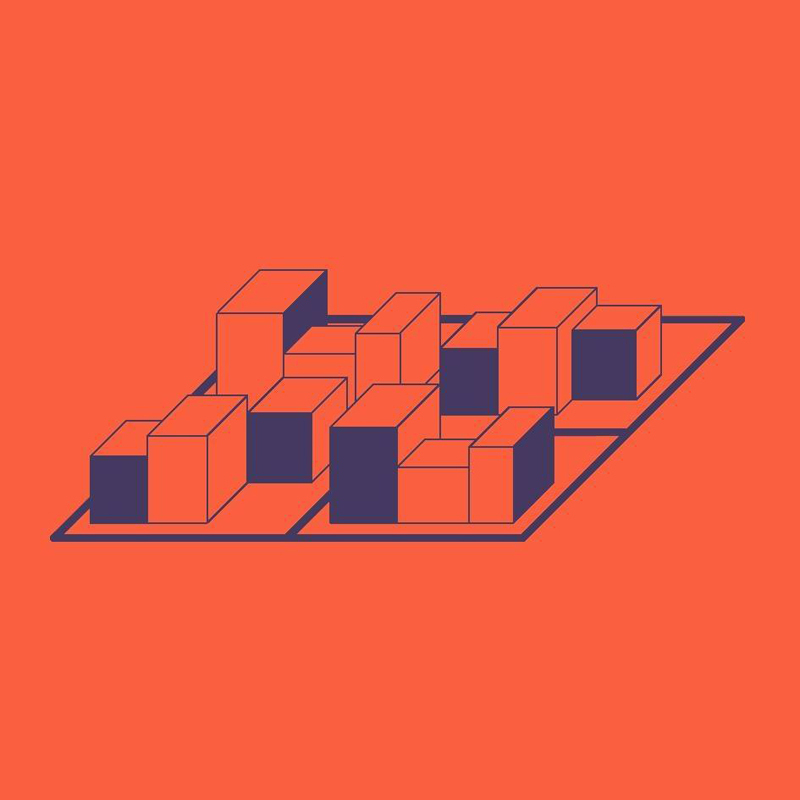 School module "Urbanistics"
The Urbanism School module is an educational project on urban planning for children, aimed at empowerment of young people as participants in decision-making process in the city. The project took place from September 19 to November 14, 2016, based on the Kharkiv Sanatorium and Educational Complex №13. The purpose of the project is to provide children and young people with an understanding of the basic principles of city functioning, existing problems and different ways of their solution, thus raising a new generation of inhabitants who understand their right to the urban environment and know how to implement it. In addition, the project included possibility for pupils to participate in conducting sociological research among young people, which provided an opportunity to analyze the needs and general children’s attitudes to urban space and the processes taking place in it. Organizers: NGO Urban Forms Center, CEDOS Analytical Center and Mistosite Internet Magazine with the support of Charles Stewart Mott Foundation and with the assistance of the Department of Science and Education of the Kharkiv Regional State Administration. Find more information on Facebook page. 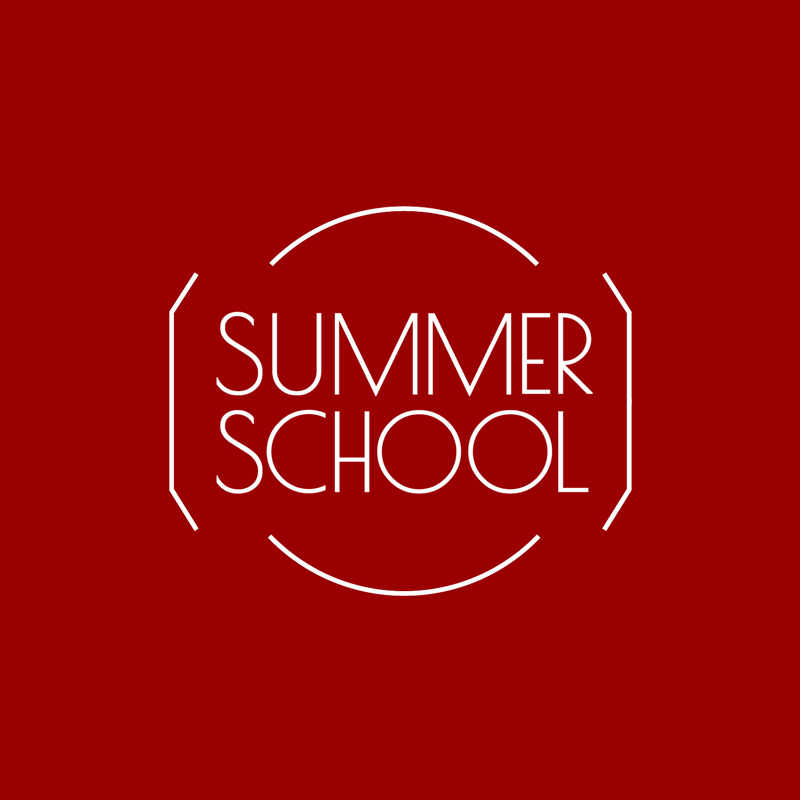 On June 29, – July 11, 2016, Slavutych hosted an interdisciplinary summer school “The Idea of the City: Reality Check” from the series “Urban Summer Schools: Visions and Experiences” of the Center for Urban History of East Central Europe. It combines research and learning formats and establishes links between urban studies and urban history, and further with Humanities. The subject for research for the school participants was Slavutych – a city in Kyiv region, an enclave on the territory of Chernihiv region. It was built after the nuclear disaster at Chornobyl nuclear power plant in 1986. It is the last planned city in the Soviet Union and the youngest city in the present day Ukraine. Exceptional circumstances of its establishment shaped the ideas and the implementation process of the project for a new city. Teams of experts from eight USSR republics were engaged into planning and construction works. As a result, Slavutych architecture manifests criticism of Modernist architecture combining international architectural context with socialist approaches and Soviet principles of regional peculiarities. Slavutych is the implementation of pursuits of the last generation of Soviet architects for environmentally sustainable architecture comfortable for living. It is also a new home to employees of Chornobyl NPP and inhabitants of polluted Pripyat. Participants of the school were researchers from Ukraine, Slovakia, Hungary, Croatia, USA, Russia, Slovenia, Sweden, France, Lithuania, and Belarus. The lecturers of the school were experts in the fields of planning and studying the city, in sociology and finance: Kees van Ruyven (“Kees van Ruyven Stadsontwikkeling”, Amsterdam), Iryna Sklokina (Center for Urban History of East Central Europe, Lviv), Dmytro Kokorin (London Royal College, Institute of Russia, London), Nataliya Otrishchenko (Center for Urban History of East Central Europe, Lviv; Institute of Sociology of the NAS of Ukraine, Kyiv), Tauri Tuwikene (Tallinn University, Tallinn), Bohdan Motuzenko (Kyiv), Viktor Maziarchuk (Center for Political Studies and Analytics “Eidos”, Kyiv). In addition to the specialized research program for students of the school, there was organized a public program for broad audiences with the lecturers Volodymyr Udovychenko (city mayor of Slavutych in 1990–2015, Ukraine), Olga Kazakova (“Institute of Modernism”, Russia), Owen Hatherley (journalist, UK), Anselm Wagner (Gratz Technical University, Austria), Kate Brown (Maryland University, USA), Nataliya Zhyzhchenko (ONUKA, Ukraine), Mykhaylo Dumanskyi (Lviv Business School (LvBS) of Ukrainian Catholic University, Ukraine), Kees van Ruyven (“Kees van Ruyven Stadsontwikkeling”, Netherlands), Roman Zinchenko (“Greencubator”, Ukraine), Yevhen Nikiforov (photographer, Ukraine), Oleksiy Bratochkin (European College of Liberal Arts in Belarus), Inga Freimane (Northumbrian University, UK). Topics and synopsis of lectures, with information about lecturers are available at the link. Videos of the lectures are available at the link. Within the summer school, there took place a camp for children “Play in cities”. During the camp, young Slavutych citizens explored the city together with the teachers. They studied its past, present and future, and had fun with the peers. Organizers: Heinrich Boell Foundation’s Office in Ukraine, Center for Urban History of East Central Europe and NGO Urban Forms Center. WikiD Ukraine: Women. Wikipedia. Design. WikiD: Women, Wikipedia, Design is an international education and advocacy program working to increase the number of Wikipedia articles on women in architecture and the built environment. In Ukrainian Wikipedia there is a very limited presence of women involved in architecture, urban planning, art or design. Many articles that do exist, are often contradictory in their coverage and quality. According to recent reports, 10-20% of Wikipedia editors are women. This significantly affects the content of one of the largest repositories of human knowledge in the world. 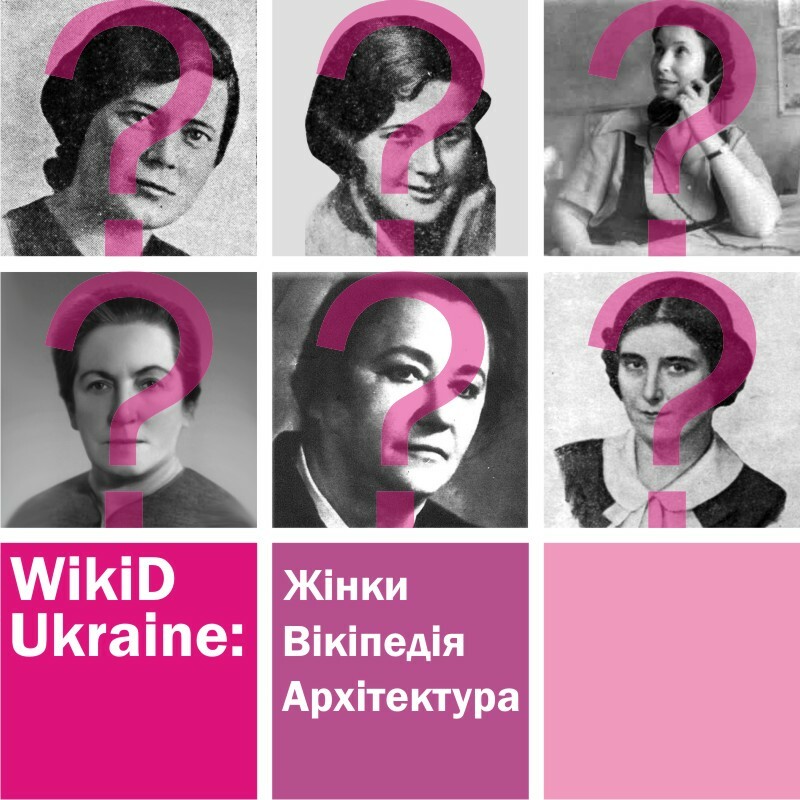 For example, only 13% of Ukrainian biographical articles on Wikipedia – about women. We understand that architecture in this case isn’t an exception to a general situation when women are under-represented in both roles: as objects and as participants on Wikipedia as a whole. That’s why we invite everyone to join the international education and advocacy program for elimination of gender inequality and recognition of female architects which they really deserve. Within the project there were held trainings and workshops on writing and editing articles on Wikipedia in Kyiv, Kharkiv and Lviv from April 20 to June 16, 2016. List of female architects who are not on Wikipedia yet was made up by experts on the history of architecture. This list is in the public domain and continues to be complemented. It shows how much work really needs to be done more and what an immense amount of knowledge is still out of Wikipedia. Employees of the Zabolotny State Scientific Library of Architecture and Construction made up a bibliographic written reference “Female architects of Ukraine” where they collected an information about sources that are relevant to the topic of the campaign, available in the library and can be used in further work. The experts of the trainings were: Olena Malakhova (Cand.Phil.Sci., director of the Gender Centre in the H.S. Skovoroda Kharkiv National Pedagogical University, expert of “KRONE” gender information-analytical center), Ievgeniia Gubkina (architect, researcher of the Center for Urban History of East Central Europe), Andriy Pavlyshyn (historian, journalist, social activist), Olena Synchak (linguist, lecturer at the Ukrainian Catholic University), Iuliia Popova (coordinator of the “Promoting Democracy” program of the Heinrich Boell Foundation’s Office in Ukraine), Dmytro Myronenko (Zabolotny State Scientific Library of Architecture and Construction) and members of Wikimedia Ukraine. WikiD is a collaborative project between Parlour (Australia), Architexx (USA) and n-ails (Germany) that received seed funding through a PEG Grant from the Wikimedia Foundation. The project was organized in Ukraine by the NGO Urban Forms Center and NGO Wikimedia Ukraine in partnership with the Public Initiative “Feminist workshop” (Lviv, Ukraine), Center for Urban History of East Central Europe (Lviv, Ukraine), Zabolotny State Scientific Library of Architecture and Construction (Kyiv, Ukraine) and Gender Culture Centre (Kharkiv, Ukraine). Find more information at the link and on Facebook page. 1st International Conference "Modernistki. Gender Issues in Art, Architecture and Urban Planning"
The conference was held on March 11–12, 2016, at the Zabolotny State Scientific Library of Architecture and Construction (Kyiv, Ukraine). The interdisciplinary conference aims at attracting attention to gender issues and researching the women’s role and input into the development of architecture, art, and urban planning in the age of modernism. Another goal we set by organizing the conference is stimulating active reciprocal exchange of experience in resolving problems related to gender-based spatial discrimination, and assuring women’s rights for urban space. We encourage scholars, activists, students, professors, and other people involved in architectural development and urban planning. The conference participants were experts and researchers of history of architecture, urban planning and feminism: Halyna Voitsekhivska (Ukraine), Alex Bykov (Ukraine), Olena Maznichenko (Ukraine), Lev Schevchenko (Ukraine), Olga Kazakova (Russia), Zhenya Molyar (Ukraine), Starlight Vattano (Italy), Hanneke Oosterhof (Netherlands), Michal Pszczolkowski (Poland), Olga Mykhaylyshyn (Ukraine), Marta Vasevych (Ukraine), Svitlana Shlipchenko (Ukraine), Ievgeniia Gubkina (Ukraine), Olena Mokrousova (Ukraine), Nadia Plungian (Russia), Kateryna Goncharova (Ukraine), Milota Sidorova (Czech Republic), Marion Roberts (UK), Elena Vacchelli (UK), Uliana Bychenkova and Sasha Talaver (Russia), Darya Ozhyhanova and Anna Pomazanna (Ukraine), Maria Zamelan (Ukraine), Tetiana Fesenko (Ukraine), Alina Kurlovych (Ukraine). Organizers: NGO Urban Forms Center and Heinrich Boell Foundation’s Office in Ukraine. Information and educational project "Female Modernists"
The project was held from February 26 to March 15, 2016 and organized by the NGO Urban Forms Center and Heinrich Boell Foundation’s Office in Ukraine. Almost 40 universities of five cities in Ukraine (Kharkiv, Lviv, Zaporizhia, Slavutych and Kyiv) were pleased to host panels containing information about women whose discoveries and great contribution to the development of architecture, ecology, physics, IT and other branches of science and culture have been utterly vital and significant. Our motto is “Not an exception but one of many” emphasizes the real importance of accepting women’s achievements in various spheres since neither the general public, nor the specialists pay proper attention to this issue. The project was implemented with the support of the Public Initiative “Feminist workshop” (Lviv, Ukraine) and Gallery of Modern Art “Barannik” (Zaporizhia, Ukraine). Follow Female Modernists on Facebook. International Architecture Summer School "Novyi Lviv"
On August 22–30, 2015, the Novyi Lviv International Architecture Summer School, organized by the Center for Urban History of East Central Europe (Lviv, Ukraine) and the MARCH Architecture School (Moscow, Russia) as part of the project “Modernism. Future Continuous” together with the NGO Urban Forms Center, was held in Lviv. The participants of the school studied the district New Lviv, in particular the 1920-1930s modernist buildings and residential development of the second half of the twentieth century. Within four laboratories – “Space,” “Sociology,” “Heritage,” and “Interventions” – school participants looked at the history of the development of Novyi Lviv, analyzed its spatial and social structure, and searched for opportunities to implement simple and fast projects that can provide visible results in the short term. The result of the school’s activity was The project for the restoration and sustainable development of Novyi Lviv. The teachers of the school were experts in the fields of urban planning and research: Kees van Rayven (“Kees van Ruyven Stadsontwikkeling”, Amsterdam), Kateryna Honcharova (“UkrNDIproektrestavratsiya”, Kyiv), Iryna Sklokina (Center for Urban History of East Central Europe, Lviv), Dmytro Kokorin (King’s College London, Russia Institute, London), Natalia Otrischenko (Center for Urban History of East Central Europe, Lviv; Institute of Sociology of NAS of Ukraine, Kyiv), Toralf Weise (Eberhard-Schöck-Stiftung, Baden-Baden; Construction Industry Support Fund, Kyiv), Nadia Nilina (Moscow School of Architecture (MARCH)), Yaroslav Kovalchuk (Moscow School of Architecture (MARCH); Head of workshop in NDiPI General Plan of Moscow, Moscow), Annette Mattieson (“Gemeente Barendrecht”, Rotterdam), Mary Sievers (Kyiv National University of Construction and Architecture; Construction Industry Support Fund, Kyiv). Experts of the School: Yuliya Bohdanova (researcher of Modernist Architecture, National University “Lvivska Politekhnika”), Yulian Chaplinskyy (Chief architect of Lviv, cofounder at “CHAPLINSKYY & Architects” company). 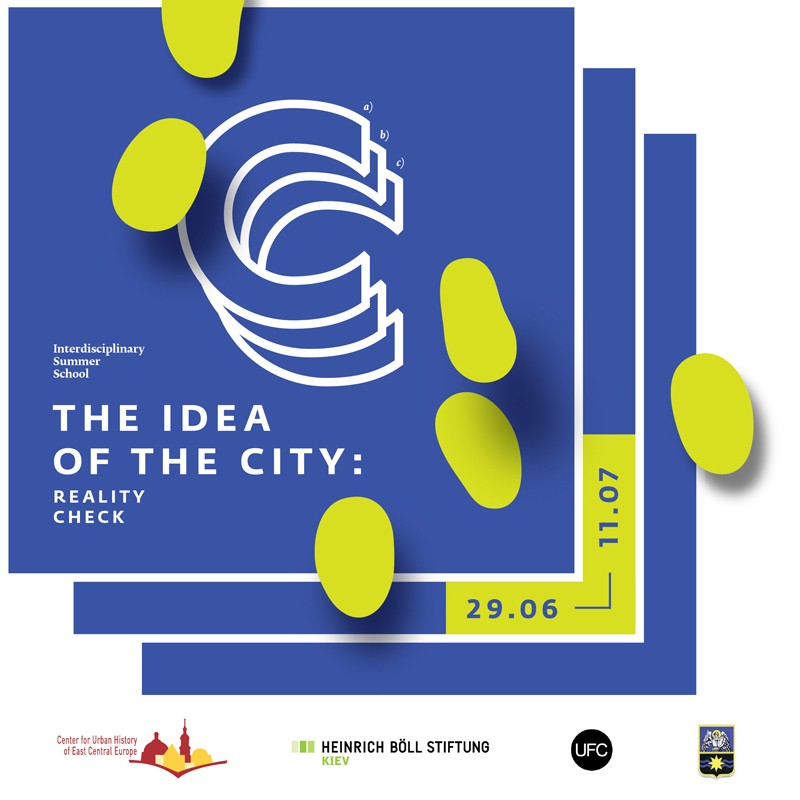 Organizers: Center for Urban History, MARCH Architectural School with financial support from Eberhard-Schöck-Stiftung Foundation (Baden Baden), Embassy of the Kingdom of the Netherlands in Kiev and German Society for International Cooperation GIZ. With assistance from Lviv Business School of Ukrainian Catholic University. 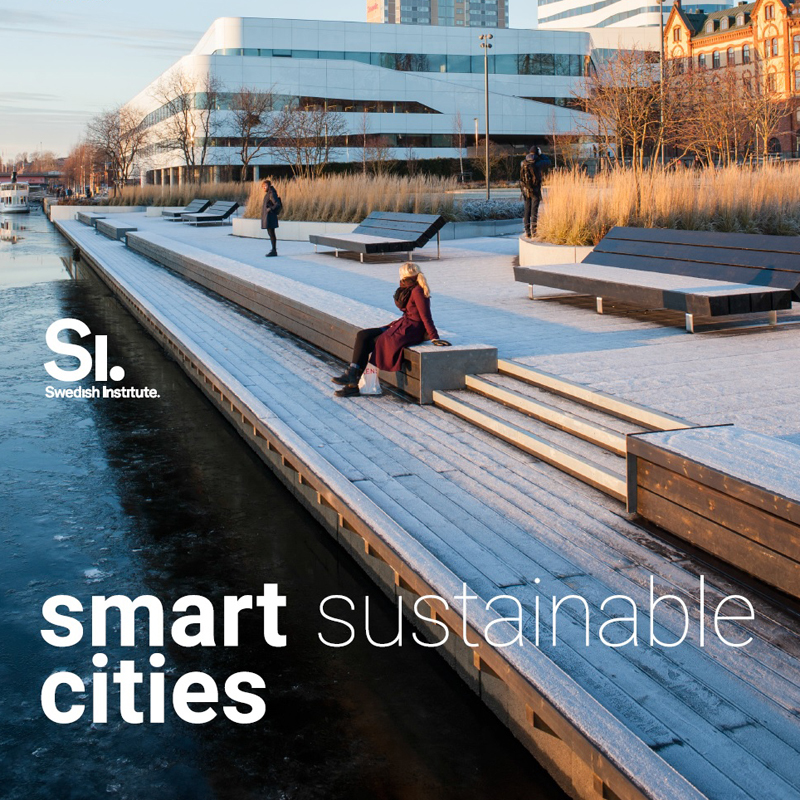 On March 28, 2015, the forum “Smart Sustainable Cities: Ecology, ICT, Architecture” was held in Kyiv with support from the Swedish Institute (Stockholm, Sweden) under the SI Alumni Event grant program. The forum was attended by the SI alumni, local activists, representatives of private and public companies working in the fields of ecology, architecture and technology. Presentations were made by: Hennig Droher (Sustainability & CSR partner at BDO Ukraine), Urs Tomann (Vinnitsa City Council), Alex Pasichny (PhD, KTH, World Data Center for Geoinformatics and Sustainable Development), Hossein Shahroni (PhD, KTH, Division of Industrial Ecology), Yaroslav Kovalchuk (Research and Project Institute for the Moscow City Masterplan, Russia), Roman Ivanenko (Development and Improvement Foundation of Bobritsa village), Ievgeniia Gubkina (architect, NGO Urban Forms Center), Maria Uvarova (Development and Improvement Foundation of Bobritsa village). The speakers presented examples of the cities that have been successfully developing recently, both from abroad and from Ukraine. On November 28, 2014, the forum “Kharkiv: Inventory” was held in the Center for Contemporary Art “Ermilov Center” (Kharkiv, Ukraine). It was one of the events of the series of research and educational activities dedicated to the city and its urban forms. The main aim of the forum – is to “take stock” of Kharkiv modern architectural environment, namely to fix the presence of the objects of the city environment, to assess their current state, to discuss what should be recognized as the “heritage” of Kharkiv and what “has no value”, to understand how and what to do in the near future – not only within the professional community, but also what ordinary citizens should do. The forum was attended by the prominent Kharkiv architects, city planners, conservators-restorers, artists and designers: Oleg Drozdov (“Drozdov & Partners”), Valery Ponomarev (Institute Kharkivproject), Nikolay Ridnyi, Vladimir Novgorodov (Member of ICOMOS, corresponding member of the Academy of Architecture of Ukraine, member of the National Union of Architects of Ukraine and the Kharkiv Planning Council), Maria Norazyan and Ilya Pavlov (design studio “GRAFPROM”, concept designers “Fedoriv.com”), Vasilisa Shchegoleva and Bogdan Volynskiy (architects “Snizhok”, Kharkiv). Videos of presentations, discussions and interim results of the study are available at the link. Organizers: NGO Urban Forms Center and NGO Critical Thinking (Kharkiv, Ukraine). 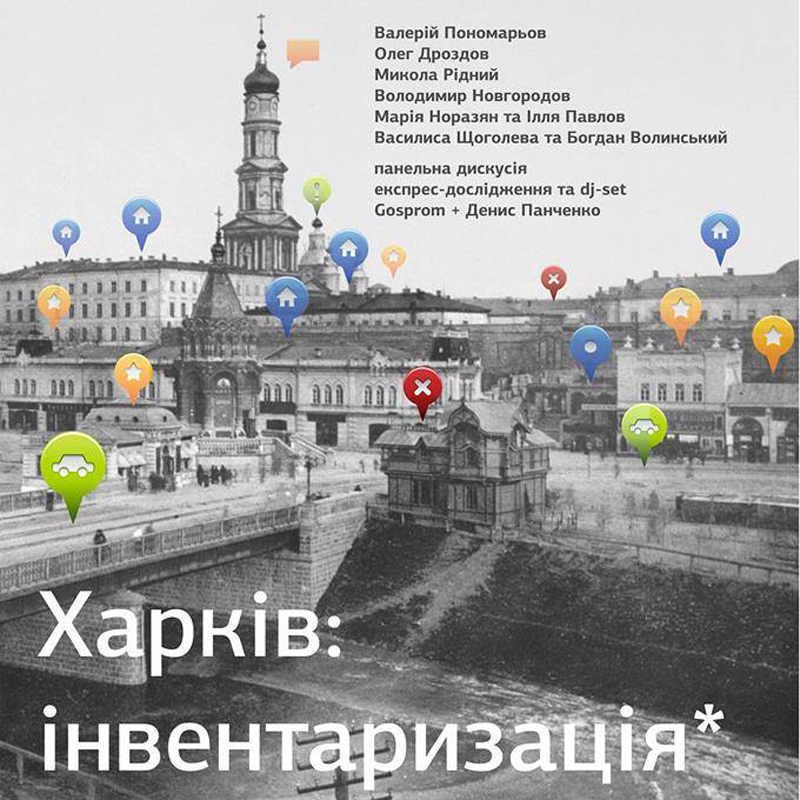 The urban colloquium “Atomograds: Planned Cities in the Contemporary Society” was held at the Gallery of Modern Art “Lenin” (Zaporizhia, Ukraine) on 19–21 September, 2014, with the support of the Swedish Institute (Stockholm, Sweden). 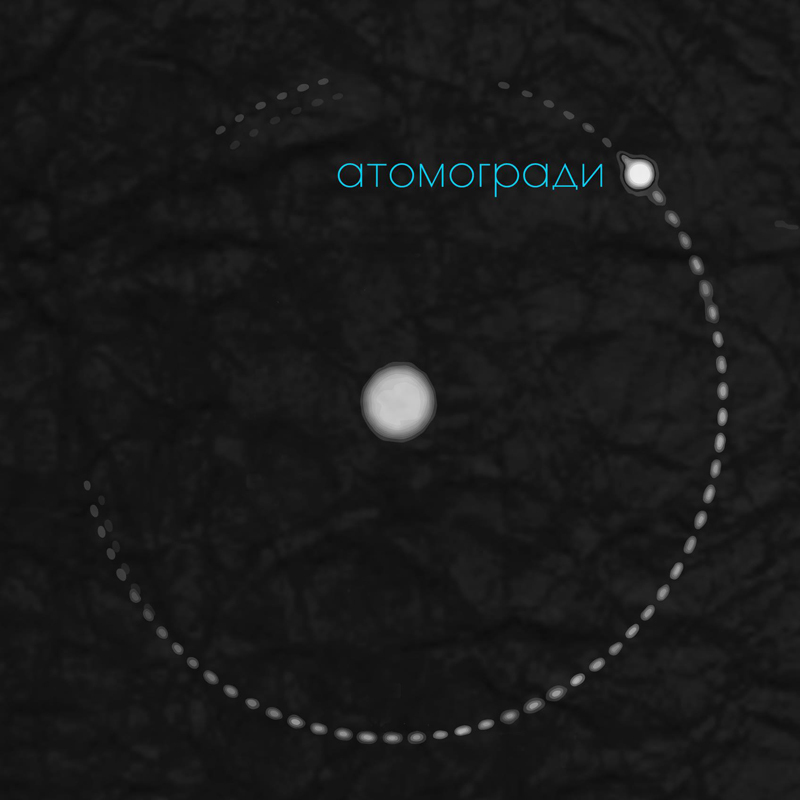 The event was focused on the problems of atomograds and other planned cities of Ukraine. Participants visited Zaporizhia NPP and its satellite town Enerhodar, listened to the lectures by architects and culture experts, participated in the workshop on sustainable development. The following speakers took part in the event: Ievgeniia Gubkina (Urban Forms Center, Kharkiv), Dmitry Zadorin (Netherlands/Belarus), Xenia Vytulova (NDITIAM, Moscow, Russia; Columbia University, USA), Natalia Lobach (Gallery of Modern Art “Lenin”, Zaporizhia), Vasilisa Shchegoleva and Bogdan Volynskiy (Architects of “Snizhok”, Kharkiv). 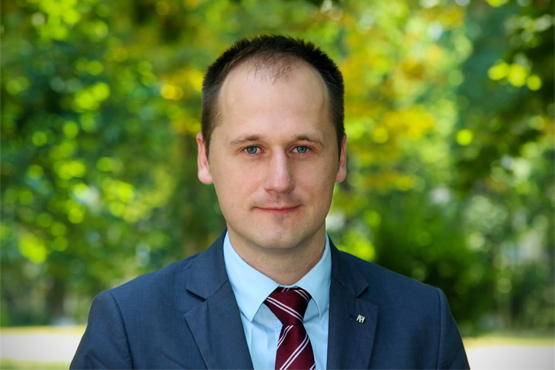 Oleg Nesterenko is a graduate of Kyiv-Mohyla Academy (Finance) and V.N. Karazin KhNU (International Economic Relations), alumna of the academic programs FLEX and VISBY. Works on the project of British Council “English for civil servants involved in the process of European integration” (Verkhovna Rada of Ukraine, Administration of the President of Ukraine, Diplomatic Academy of the Ministry of Education and Science of Ukraine) and is an expert in the field of good governance, higher education and vocational education. Oleg was in charge of educational projects that were conducted with the support of WWF and Erste Stiftung, Swedish Institute, American Councils and local initiatives in Ukraine. Since October 2014 he is the head of NGO Urban Forms Center. Ievgeniia Gubkina is a architect, modernism researcher, curator of architecture and art projects, educational events and activities. She is a co-founder of the NGO Urban Forms Center and women‘s avant-garde movement Modernistki. as well as a researcher in the Center for Urban History of East Central Europe. She graduated Kharkiv National Academy of Municipal Economy with a Master’s degree in urban planning. She developed and guided the tour Linear City in Kharkiv. Since March 2012 she has been a consultant for Ukrainian Weeks of Constructivism in Zaporizhia. Participated in conferences and gave lectures in Tubingen, Chicago, Yerevan, Gdynia, Vilnius, Moscow, Cambridge, Dunaujvaros, Florence and in many cities of Ukraine. 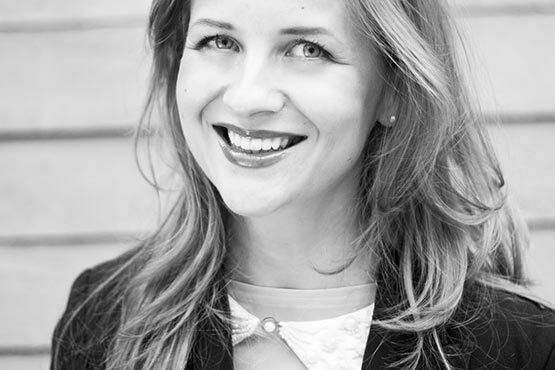 Ievgeniia is an author of a number of publications, including articles in “Architekturführer. Kiew” (DOM Publishers), “Utopia & Collapse: Rethinking Metsamor” (Park Books AG), ERA21, The Calvert Journal, Springerin. In 2015 her own book “Architectural Guide. Slavutych” was published by DOM Publishers in Germany. She is co-author of the study and the book, which will be released at the end of 2018, “Soviet Modernism. Brutalism. Post-Modernism. Buildings and Projects in Ukraine 1960–1990”. We look forward to cooperating with all organizations and companies that value the principles of corporate responsibility and make their contribution to the cultural development of society.